It really happened during FIFA World Cup 2002 qualification for Oceania zone on 11 April 2001. Australia had a goal party to American Samoa, it was a very unbalanced match, even American Samoa only had one shot-on-goal to Australia. 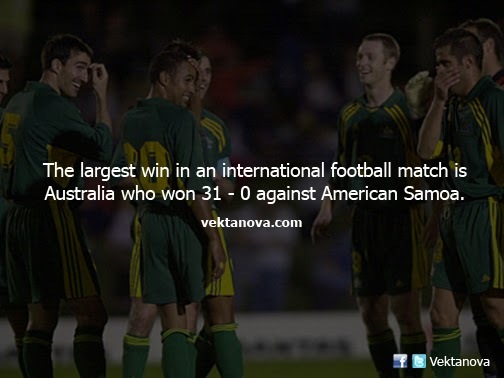 This match led to Australia's move to Asian zone in the following years. "Breaking the world record is a dream come true for me; that sort of thing doesn't come along every day. But you have to look at the teams we are playing and start asking questions. We don't need to play these games." Archie Thompson who also contributed in the game and scored 13 goals in that match agreed Frank's statement. Since then, Australia has been playing in Asian competition. No response yet to "Largest Win in International Football Match"